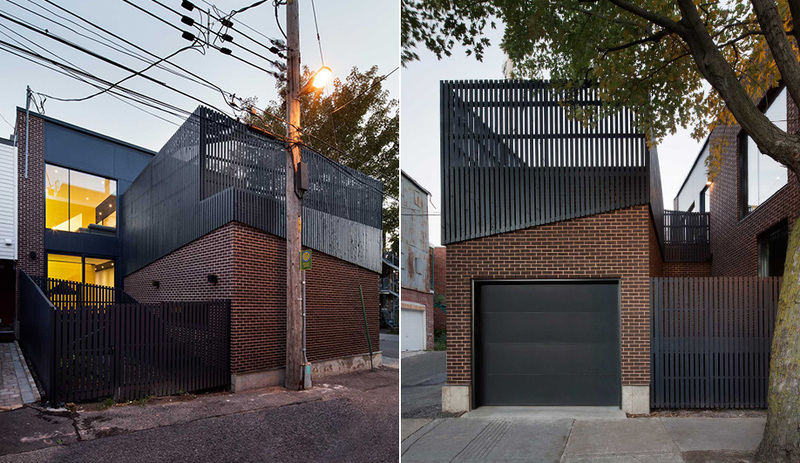 For a young couple in Montreal, a multi-dwelling structure becomes a dynamic single family home thanks to a striking intervention by local architecture firm Naturehumaine. Dating back to the 1930s, the fourplex needed both an exterior facelift and a complete gutting of the interior. Reconfigured as a single family residence (plus one separate rental unit on the ground floor), the new house easily addresses the needs and wants of the young family who inhabit it. 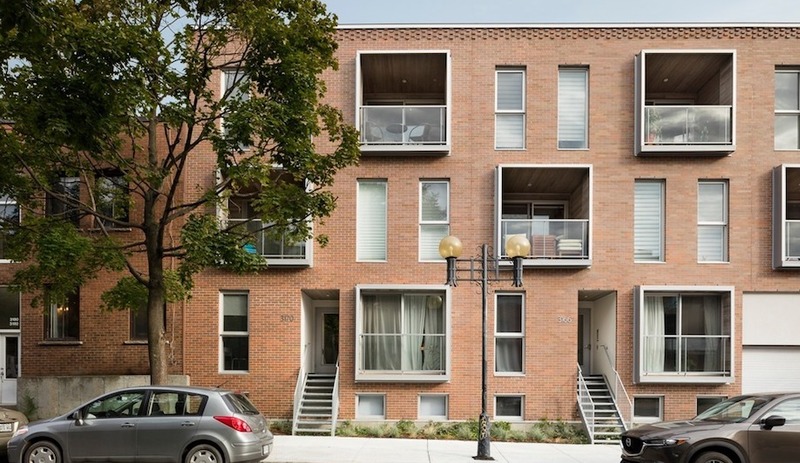 Bringing cohesion to the exterior, Naturehumaine cleaned up both the street-facing main house and the attached garage out back with the same brown-brick façade. 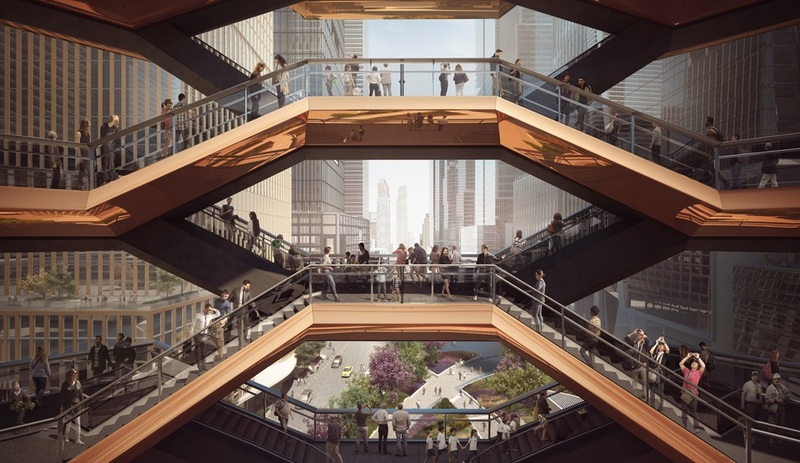 The garage was topped with a black-painted slat wood volume that serves as an outdoor terrace for the family; adding interest to the rectangular building, the wooden feature has angled lines that dip down on two sides. 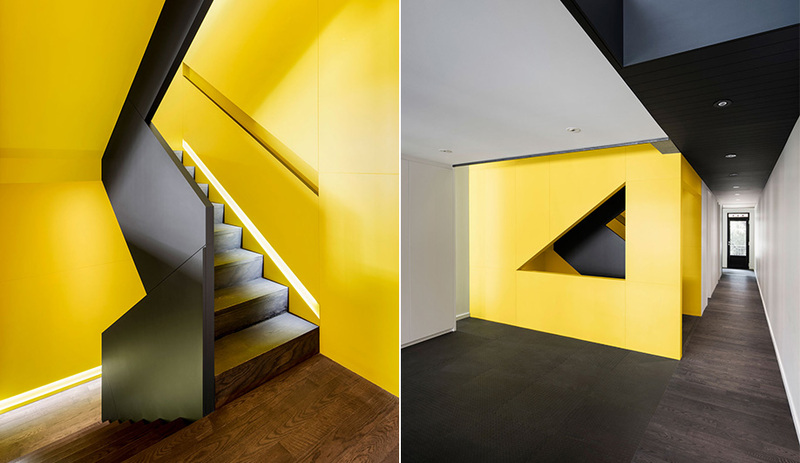 Inside, a fuss-free approach lets the architecture shine – most notably the striking canary yellow staircase with geometric cutouts that runs through both storeys and visually connects all rooms. 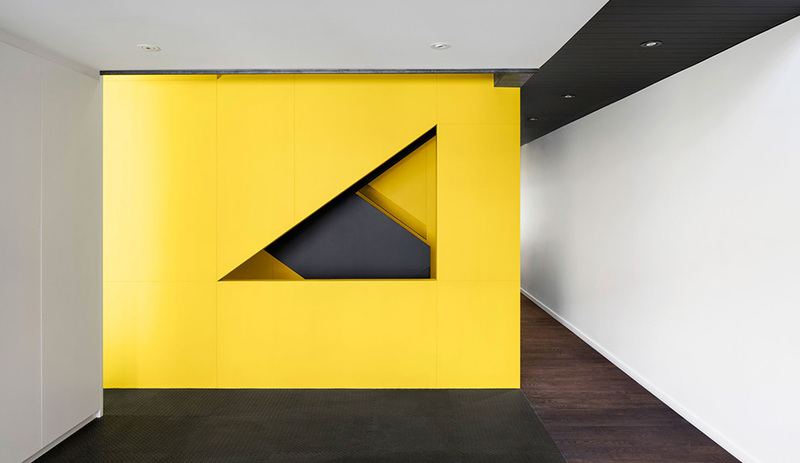 “It’s a very dynamic, stimulating and joyful colour,” says project architect Stéphane Rasselet. 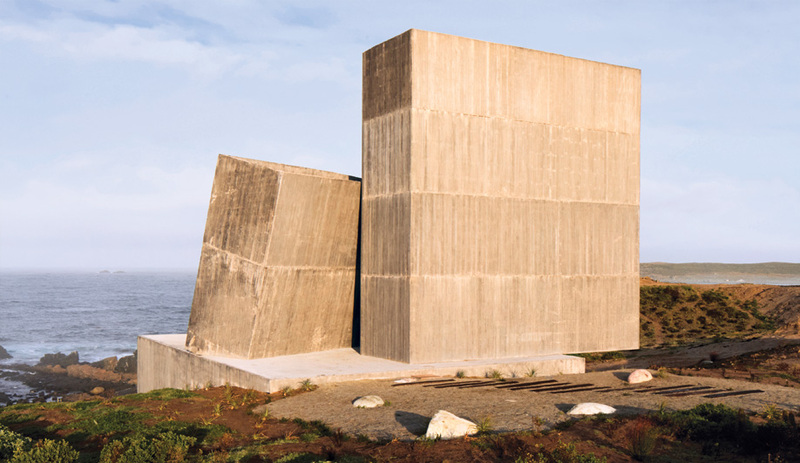 A muted palette and consistent use of materials are carried throughout the house. 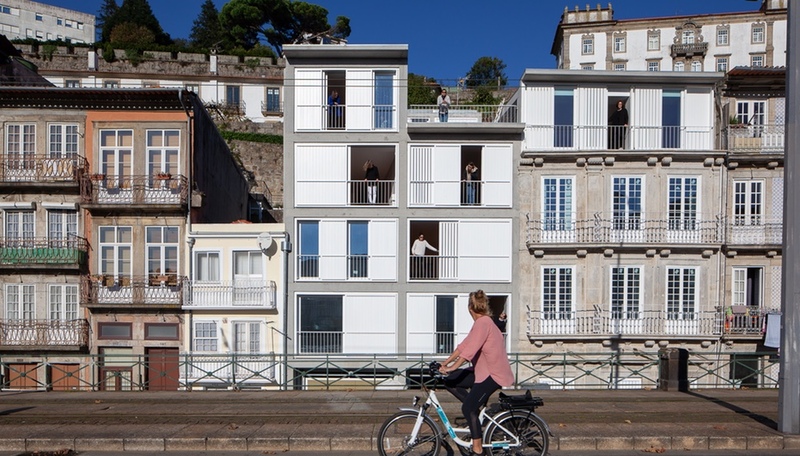 The ground floor was split in half, with the single, fully contained rental apartment on one side and first-floor living space for the family on the other. An important requirement of the athletic family was for the inclusion of a sports room, which was located down here, along with a home office and second bathroom. 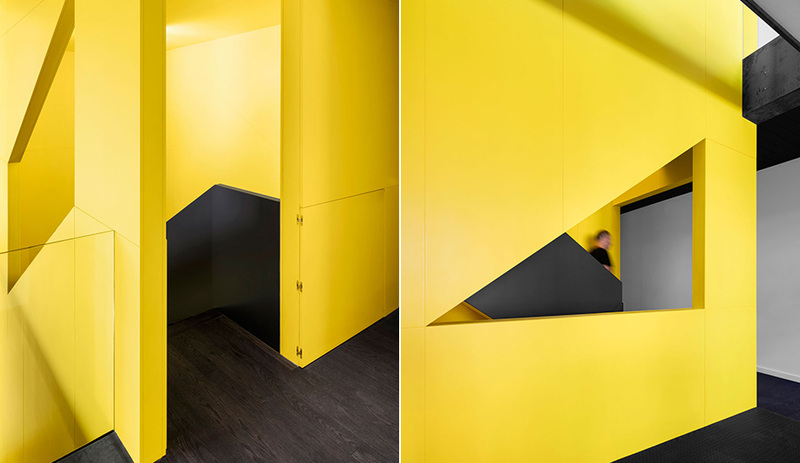 LED strips embedded in the stairwell enhance its vibrancy (left). On the ground level, rubber floor tiles demarcate the sports room. On the second level, the vibrant stairwell leads to the sleek kitchen, where concrete-grey Caesarstone quartz counters and grey and white lacquered cabinets are warmed up via natural white oak flooring. 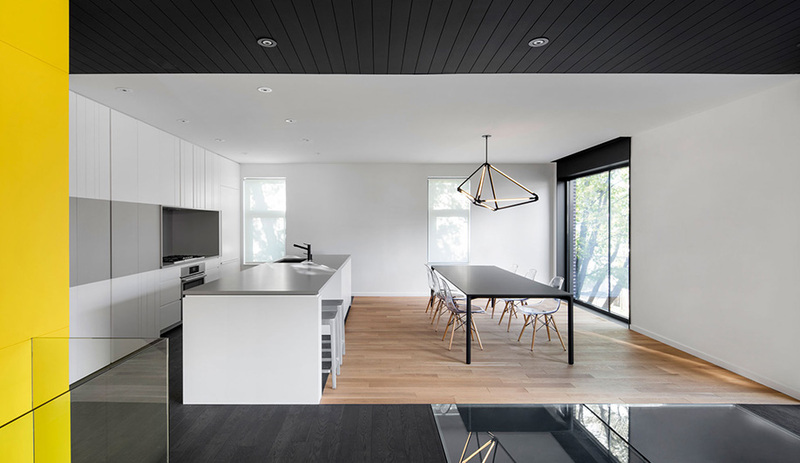 The kitchen shares a large open space with the living and dining areas, with the same white oak flooring and lacquered panelling being carried throughout. 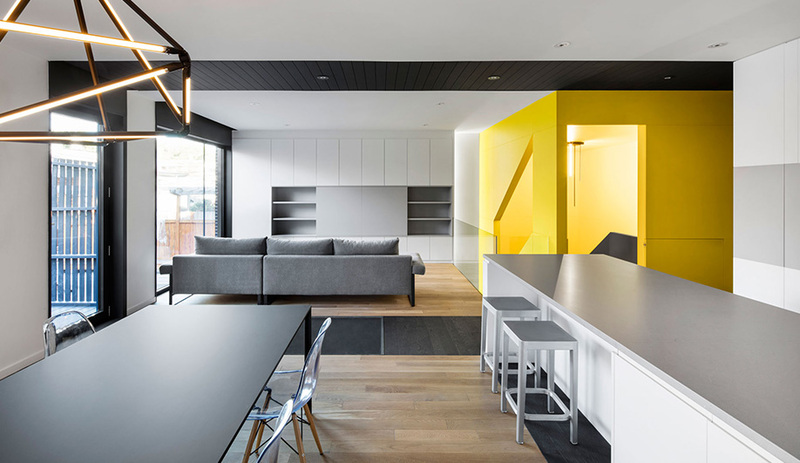 A strip of black-painted banding on the floor and mirrored banding on the ceiling create a circulatory path in the house, from the private rooms at the front to the rooftop terrace out back. The house’s new design suits the active lifestyle of the young family who live here, a couple who are, according to the architect, passionate about design, very open minded and wanted to have a warm and bright home for their family. 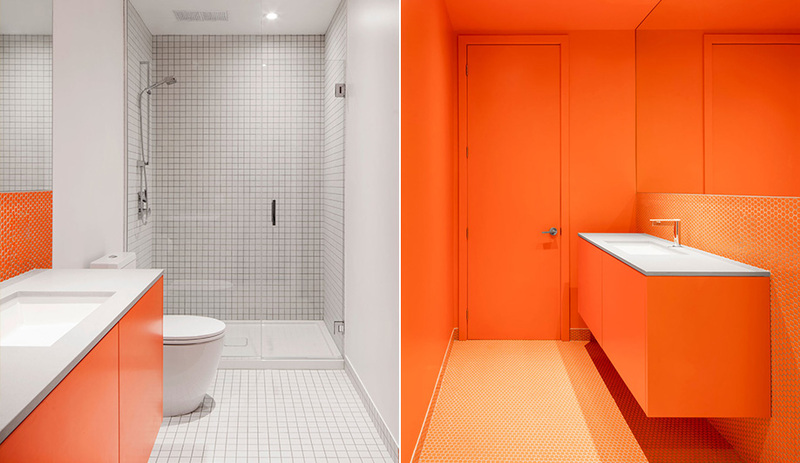 Juicy orange adds energy to the ground-floor bathroom.